Bringing up Charlie: Horrid Henry Giveaway! 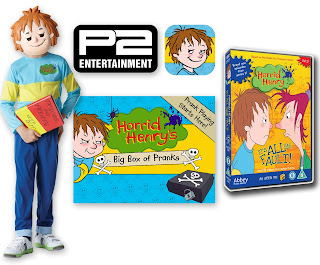 To celebrate, P2 are offering a fantastic prize bundle containing the new Horrid Henry ‘s Big Box of Pranks app, a Horrid Henry Costume and a copy of the Horrid Henry It’s All Your Fault DVD. To enter, simply leave a 'pick me' comment, tweet a link to this post, like my Facebook page, do my laundry and ironing and/or share on any other social media platform (before next Wednesday, October 28th) and... it could be you. Don't let it be them. Especially not him.